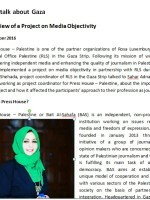 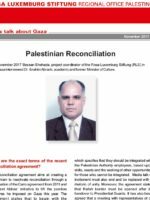 November 2017 Bessan Shehada, project coordinator of the Rosa Luxemburg Stiftung (RLS) in Gaza interviewed Dr. Ibrahim Abrach, academic and former Minister of Culture. 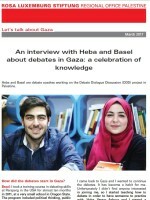 Let’s talk about Gaza. 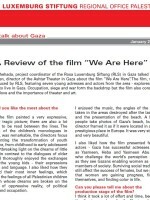 Vague vision in Gaza! 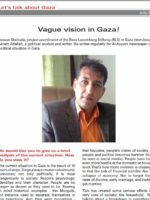 Bessan Shehada, project coordinator of the Rosa Luxemburg Stiftung (RLS) in Gaza interviewed Mr. Akram Attallah, a political analyst and writer. 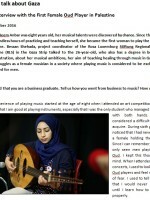 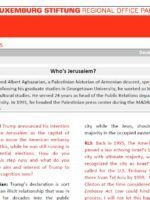 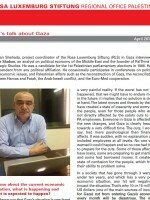 He writes regularly for Al-Ayyam newspaper on the political situation in Gaza. 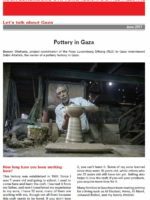 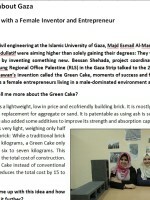 Bessan Shehada, Project Coordinator of the Rosa Luxemburg Stiftung Regional Office Palestine (RLS) in the Gaza Strip, interviews Sabri Attallah, the owner of a pottery factory in Gaza.